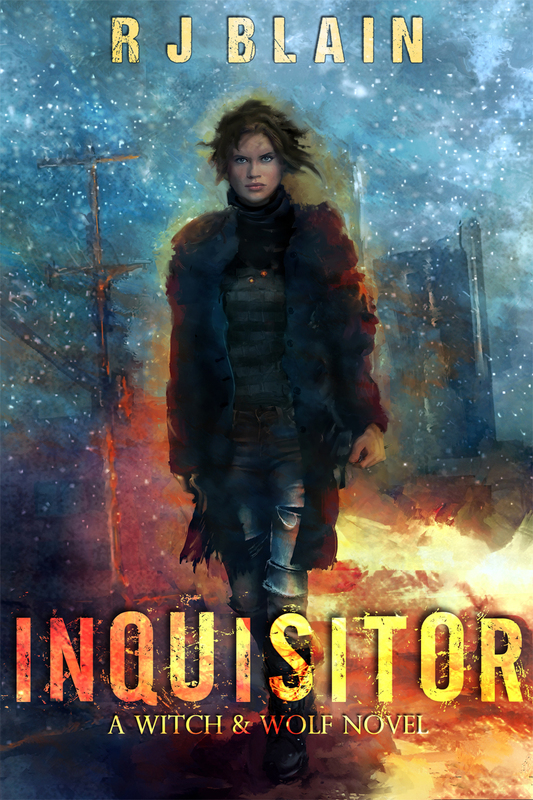 I’ve been shamefully quiet on Today’s Author lately, although there has been a pretty good reason for it: I released my third novel on May 16, an urban fantasy thriller titled Inquisitor. May 16 also happened to be my birthday. I’ll just say I was really busy. There’s a lot that goes into the production and finalization of a novel, and I’m going to give you the ins and outs of it. When you release your first book, I hope you have smooth sailing! Copyrights: To Purchase or Not to Purchase? Final rounds of editorial, even if you have hired a proofing editor, is never unwise. Editors are humans, and they make mistakes. However, once you have proofed your novel, you shouldn’t change anything unless it is a confirmed error and you triple check that you have not introduced a new error. Proceed with caution. Do your homonym checks twice. There are many lists on the internet with the most common homonyms. Yank one, then confirm the usage of each one in your novel. You’ll probably still miss something, but at least you’ll clean up a lot of them. Homonym errors (they’re versus there) are among one of the most common types of mistakes found in ‘final’ versions of a novel. P.S. : My complete check of homonym errors took me approximately 6 hours… but was so worth it. I had a very bad incident with one of the self-publishing firms. They violated my copyright, and didn’t honor a request for removal. Without ownership of the legitimate copyright, I probably would have had a lot harder time getting them to adhere to my request for removal. Because I did own the copyright, I was able to send a letter stating as much. The company decided it was in their better interest to uphold their contractual obligations. I didn’t have to take it to court. That copyright paper is worth a lot, because when you have it, you have full control and power over your novel. I needed it, and was glad I had it. Not everyone needs to own the full copyright. The book is still yours, and it is still copyrighted, even if you don’t pay up to have the official documentation. The documentation just makes it easier if something goes wrong. Paid promotion isn’t for everyone. It’s high risk, and it may not pay off at all. Free promotion, however, only costs you time. Simple ways you can promote for free include finding sites to write guest posts for, contacting book bloggers to get reviews written for your book, and making yourself visible on social networks. It’s ultimately up to you how you distribute your novel–take a look at all of your options. Then decide which choice is best for you and your book. Exclusive on amazon can be a great boost with the free book, countdown deals, and lending library promotion options. Smashwords and Draft2Digital can get you into a lot of venues with great ease. Releasing a quality novel isn’t easy. You want it now. You’re excited. But have patience. Take your time. It’s better to delay the book than it is to release something lackluster. Take it from me–I learned this lesson on my first book, and it really isn’t worth walking in those shoes just for the sake of walking in them. If you can’t afford proofing editors, call in a lot of favors from your friends. If you can’t afford cover art, barter for some, twist arms, or ask for help on making a good one on your own. There are always options, and many of them are free. This entry was posted in RJ Blain and tagged novels, preparation, production, publishing, writing. Bookmark the permalink. You’re the first person to mention the homonym check. I did this, too, using Grammar Girl’s list from one of her books. Much love to you on your new release, and Happy Birthday! I also proofread after the proofread, because ultimately it’s my name on the cover. It takes restraint not to revise after a certain point, but it has become easier. There is that point where the novel is done and that’s that. Done is done is a refreshing moment. I have another step in my process, which is to listen to the book in text-to-speach mode. Missing words jump out that way. Congratulations on your book launch. I hope it is an amazing success for you. The list of things to do here is a fantastic help, so thank you for sharing. Thank you, and you’re welcome!! 🙂 I hope it helps with your novel endeavors! Congrats, and great list! I’m currently in editing/cover art/blurb mode on my first novel, which I hope to release in June. First comments back from beta readers and editors, which I’m going through now, then a second, smaller group of other betas. Good luck with your book launch! I hope it’s a smashing success. Thanks for all the information, lots to think about. This is good stuff, and you’re absolutely right about the excitement of getting that first book out there. I have quite a few writer friends and included in them is a couple who are traditionally published. The more I spoke to them, the more I wanted to get my first book published. While I’m proud of that book, I definitely didn’t take the time or care with it like I should have, because I was just so excited to get a book out there. It could have been edited more, and better. It could have had a better ending, actually, I rushed that, too. So yes, definitely take the time. I mean, when I gave mine away for free there were at least 1000 downloads of the ebook and about 10 paperback copies given out. But sales? I can count them on one hand. The finished product might be the reason for that. I won’t make that mistake twice. Thanks for this article, and congrats on your third book! Good luck! Well, normally I try to say do it right the first time–but go ahead and fix the book. Try to avoid changing the story line (people tend to view that as taboo) but go ahead and edit it again–fix the errors. If something needs clarified, do it. It’s worth the book… and having made that mistake on my first one–reviewers notice. I had a reviewer change their review upon rereading and finding all the errors gone, making a point to mention it in their review. I’m actually going back and cleaning up the first novel, fixing clarity issues from where I just wasn’t as good of a writer. I’m not changing the story, but I’m making it more enjoyable to read at the same time. Thank you, I have quite a few projects going right now and hopefully some time before I’m 90 I’ll get them done! One day I plan to go back to that book and polish it up, but for now I’m on to other things. I write for Today’s Author — this was yesterday’s piece, focusing on how I prepared my newest novel for release! Support an artist, buy a book! Congratulations, RJ! What a wonderful moment for you. Thank you for the blog info. I haven’t published yet so this list is meant for me. Had never thought of the homonym issue.